Can Radiation From Mobile Devices and Mobile Masts Cause Brain Cancer? Can Radiation From Mobile Devices and Mobile Masts Cause Brain Cancer? The title itself is worrying, but the evidence and tests that have been performed to prove that this could be the case are perhaps more alarming. More so, when local councils seem to allow planning permission for new mobile phone masts to be erected each and every day. New studies out in February 2014, that have begun to be further developed, have indicated that the radiation that comes from cell phones and mobile mast towers may be responsible for the increase in the number of child deaths from brain cancer and for the increase in the rate of brain tumours experienced by adults in relation to where they typically hold their mobile devices while talking on the phone. The safety of mobile devices is becoming more questionable by the day, and along with those questions are more about the safety of mobile masts, which also emit electromagnetic radiation and radio waves that can cause cancer. The most recent study, released by the Brain Tumour Foundation of Canada, brain cancer recently surpassed leukaemia as the leading cause of death in children who are under age 20, not only in Canada, but throughout the world as well. Over the past ten years, the numbers of those children who died from leukaemia were substantially higher than those who died from brain tumours, and the rate of adults who experienced brain tumours were also lower than they are today. The numbers have continued to increase and have now reached alarming heights, according to recent data reports. Studies indicate that the cell phone radiation that comes from mobile masts, mobile telephones and other devices, and wifi may all be contributing in significant ways to these sharp increases and the tragedies that follow. Research reports recently released show that the risk of developing a brain tumour related to cell phone radiation increases with increased usage of mobile devices, and that there are also higher incidence rates in places where mobile masts are closer together and are found in greater numbers. Reports have shown that those individuals with increased exposure to cell phone radiation can in many cases have a 300% greater risk of developing cancer as a result of their exposure. As recently as January 2014, government leaders and spokepersons around the world were being confronted by individuals who claim that their loved ones died due to excessive exposure to cell phone radiation. The FCC Chairman in the United States has been called a wolf in sheep’s clothing and has been accused of being “on the take” from the wireless industry due to his failure to do anything about the problem. Radio Frequency Safe (RF Safe) has warned that these types of numbers coming from all types of mobile radiation could come along with a stiff price: a sharp increase in the number of individuals between the ages of 30 and 40 years who develop and possibly die from tumours caused by cell phone radiation. These individuals impacted will likely be the teens of today who has begun relying on cell phones as their primary means of communicating with the rest of the world. As the demand increases, so too does the number of mobile phones and masts out in the world, which in turn continues to increase the risk. 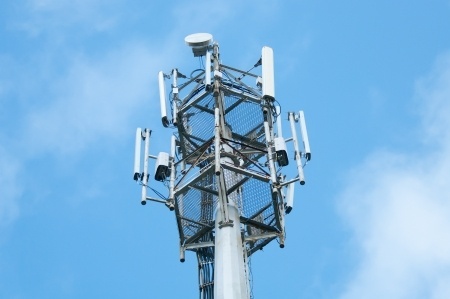 Could we soon be looking at a ban altogether on mobile phone masts, and phones? This is something that may seem crazy right now, but if clear evidence is out, then governments may have to act on the findings soon in order to stop a health epidemic in the future. Tags: Chances of cancer with Mobile radiations.